Should humans put more wolves on Isle Royale? Times have changed. In Michigan we plan on killing wolves because some feel there are too many. It's a different story on Isle Royale where the wolf population is hanging on by a thread. But because Isle Royale National Park is a designated wilderness area, we, as humans, have pledged not to intervene. So what should we do? The National Park Service has a big decision to make. The folks who have been studying this place for a long time share their thoughts in this op-ed piece. 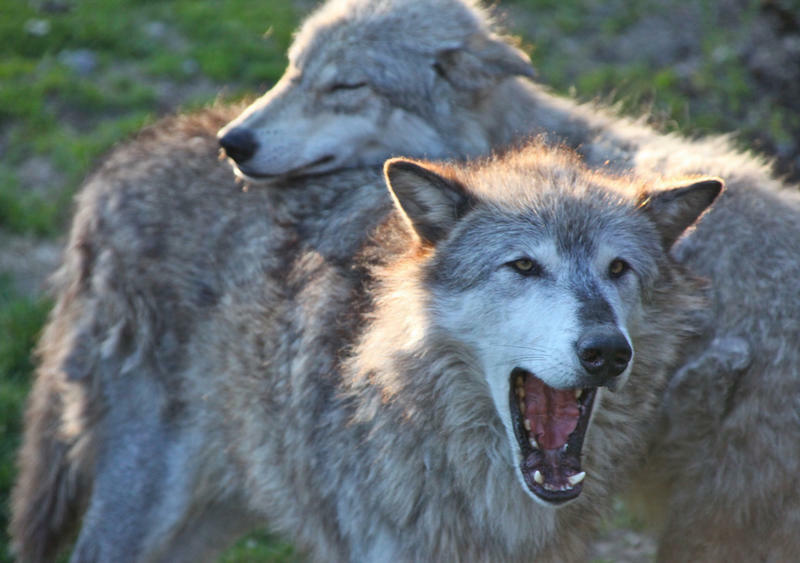 The Natural Resources Commission has approved a wolf hunt for the Upper Peninsula. The panel heard from supporters and opponents before the vote. State wildlife officials counted 658 wolves this winter. Officials hope to kill 43 wolves in the hunt. The hunt will take place in three separate zones in the Upper Peninsula beginning November 15, 2013. The Gray Wolf until recently was listed as an endangered species by the federal government. The wolf population has grown dramatically in the last decade. Some have complained that the increasing wolf population has led to an increase in attacks on livestock and pets in Michigan's Upper Peninsula. Opponents of the wolf hunt claim it is not needed and that a hunt will not address problem wolves.